I don’t have to tell you that jewelry shopping has changed. Now you can go to Costco and pick up a diamond ring along with those bulk bundles of paper towels and giant containers of laundry detergent. Or, you can hit the web and check out the jewelry on any number of sites–including straight from the designer. That’s why keeping up with how people shop today is so important for anyone who owns his or her own business. And that’s exactly what we plan to do in our new weekly blog posts from David Perry & Associates. Through interviews with trend forecasters, market analysts, and other luxury industry experts, we can keep you informed, so that together we can find the best strategies for reaching customers in your area. You’ll also find out why change can be good for business—and it needn’t be a huge, expensive transformation, but little tweaks to what you’re already doing that can make a big difference to your bottom line. In this first post, we caught up with Benjamin Smithee, Chief Executive Officer of Dallas-based The Smithee Group, who has his pulse on the millennial market. And we all know what millennials are up to and why they are so important to reach and bring into your stores: they’re getting married, rising up in their professions, and earning more discretionary income–some forecasters project that their potential buying power will even surpass the baby boomers. Here are Smithee’s observations and advice on how to tap this new, younger consumer. DPA: Do millennials really shop differently? Benajmin Smithee: Yes, boomers tend to go online to research products, and head to brick and mortar stores to buy. But millennials tend to do the reverse, and you want to make sure that they solidify the deal with you and your store and not somewhere else. DPA: What do you think they’re looking for in a retail experience? BS: You need to form a relationship by creating a customer experience. 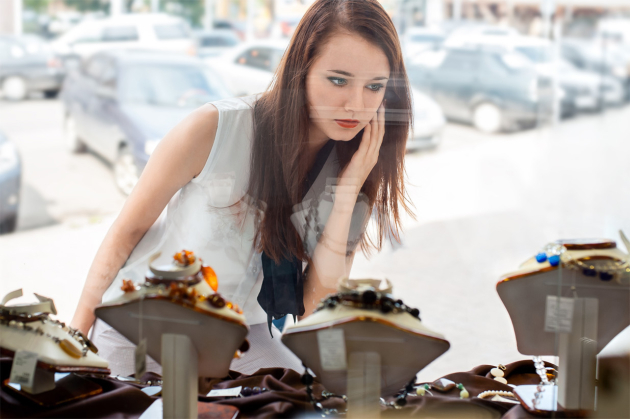 Ask yourself: What makes your store different than anyone else’s? How do you tell your story? What gives them a reason to come into your store? It’s not the selection or the convenience because all of that is available online. Maybe it’s the education from knowledgeable sales staff, or experiencing an event, say an on-site brunch for moms on a Saturday that creates an experience they want to share with their social community. Then you’re not just reaching one customer, but many. DPA: How important is an online presence? BS: Very. It’s not about having one; it’s what you’re doing with it to maximize it. If the site is not optimized for e-commerce, you’re not getting all you can out of your online presence. For example, it’s like having a Ferrari, but if you’re not driving it to peak performance, it’s like having a Honda. DPA: Can you give us three take-aways for independent jewelers to better reach the millennial market? 1. Invest in new practices and thinking. The same methods that got you here today are not the same things to bring you into tomorrow. The game has changed so much. I’m not saying the traditional mechanisms are dead, but you have to stay open to innovation, change, and evolution. 2. Create a truly customer-centric experience. Focus on your target customer—not your family story or store legacy and how great you are, but who you are by creating content that supports your expertise, service, and community. For example, provide in-store education, post daily or weekly videos online, send out email newsletters, and have in-store meet-and-greet events. The time for change is now—actually yesterday to be more accurate. You’re going to have to take a step forward and commit from a budget, time, and strategic standpoint. For example, identify five things that aren’t returning what they used to for you and allocate time, money, and planning to what’s going to actually grow your business—not just sustain it. Bottom line: Do you need to integrate new ideas into your marketing? Looking to get up to speed in social media? Need event planning ideas? We’re here to help. David Perry & Associates is a full service marketing and advertising agency specializing in the fine jewelry industry.